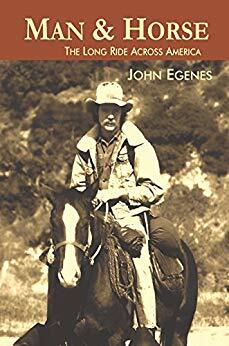 In 1974 John Egenes saddled his young horse, Gizmo and set out to do the impossible. Together, the pair started down the trail on a quest to cross the North American continent. This is the true story of their seven month adventure, a journey that took them across the United States, from ocean to ocean. Along the way the pair were transformed from inexperienced horse and rider to veterans of the trail. John and Gizmo witnessed an America that no longer exists. Full of heart and humor, this is a story of hardship, change, and growth. Egenes serves up a tale that's as big as the America they crossed, on a journey that could only have been experienced step by step, mile by mile, with a view from between a horse's ears.